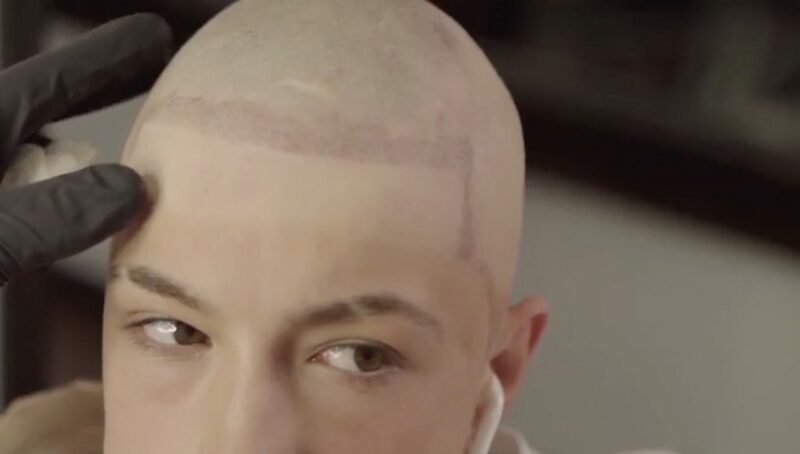 A schoolboy mocked for the hairless patches that left him balding is now overwhelmed with confidence thanks to a fake hair tattoo. 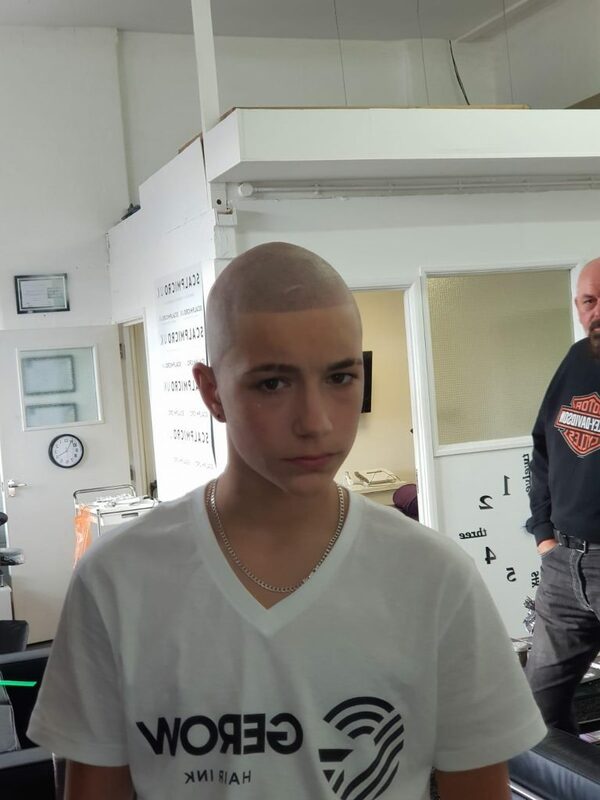 Jake Reed, 16, from Peterborough, Cambridgeshire, developed alopecia areata a year-and-a-half-ago that was see circular spots rob him of the majority of his hair. At school, the pointing and laughing from other pupils left him so self-conscious he withdrew himself socially and stopped hobbies including modelling and his own YouTube channel. Mum Caroline Reed, 51, witnessed her son go from confident and outgoing to so embarrassed he was unable to leave the house without a hoodie or bandana. She discovered scalp micropigmentation online a procedure where thousands of tiny dots are tattooed onto the head to give the illusion of hair. The mum and son flew 3,500 miles to the studio of Jonathan Gerow in New York, and after six-hours the teen was overwhelmed with the results. Caroline, a marketing manager, said: “At its worst, Jake was almost bald, he just a little bit of hair down the middle of his head. “It started as a circle or coin shaped area that was missing hair and from there it grew and grew. “After being diagnosed, he was devastated upon hearing how he could eventually lose his eyebrows, eyelashes and body hair. “He was a model and had just finishing all of his modelling shots – he was very confident and outgoing, he even had his own YouTube channel. “All of that stopped with alopecia, he wanted to wear a bandana to school but they said no, and it ended the other children laughing at him. “He didn’t want to go in and when he did would sit at the back of class so that no one could see the back of his head. “He was worried all the time that people would see it and what they may think or say. “At home he wore a bandana and even wore in bed, he didn’t want anyone to see his head. “After having scalp micropigmentation, we walked outside without his bandana for the first time, he had his head held high. “I’ve seen a massive difference in him, it made him feel fantastic. I am very grateful to Jonathan. Jake lost the majority of his hair within six months of developing his first hairless patch. Alopecia is an autoimmune disease that targets hair anywhere on the body, it can be exacerbated by stress and affects 147 million people worldwide. Jake’s insecurities around his baldness stemmed especially from one experience at school. Caroline said: “One day he was going through a doorway and the sixth form girls were just pointing at him, laughing and giggling. Jake refused to play sports and would hide beneath clothing, he even stopped modelling. Caroline added: “He lost all of his confidence. He had done a photoshoot, they didn’t’ want him, we were you can’t model with no hair on the phone. Despite seeking the help of specialists in London, it wasn’t until research microblading and tatoo-based options that mum Caroline found SMP. They had to fly outside of the UK for the procedure due to tattooing being illegal for anyone under the age of 18. Prior to that point, Jake had been taken care of by a kind-hearted teacher who would apply a hair thickening powder to hide the spots. Caroline said: “They have a brown powder product that they would put on the big circle of baldness to match the colour of his hair and disguise it a little. “In the morning she would put it on, then lunchtime she would put it on again if it had been raining. Caroline and Jake visited SMP specialist Jonathan Gerow for the procedure on September 10 for the six-hour procedure. The experience has led the teen to want to learn the skill and open his own practice to help others. Caroline said: “The people there were so enthusiastic and passionate, when he was sitting there really nervous the other men there were really encouraging. “They told him how great it looked and the whole atmosphere was professional but relaxed. Jonathan of Gerow Hair Ink has helped over 10,000 worldwide from celebrities to people battling cancer an alopecia. He noticed a ‘complete difference’ in Jake after the procedure. 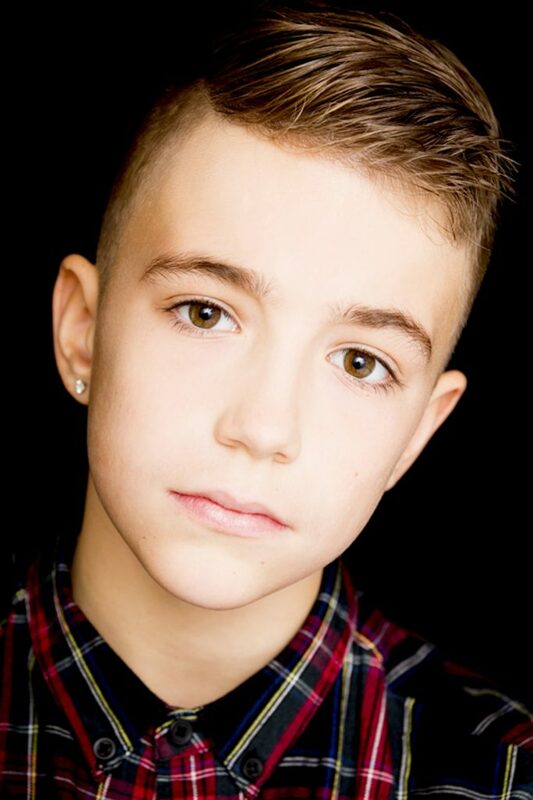 Jonathan said: “At first, he was really nervous and shy, but by the end of the treatment he was opened up and smiling. 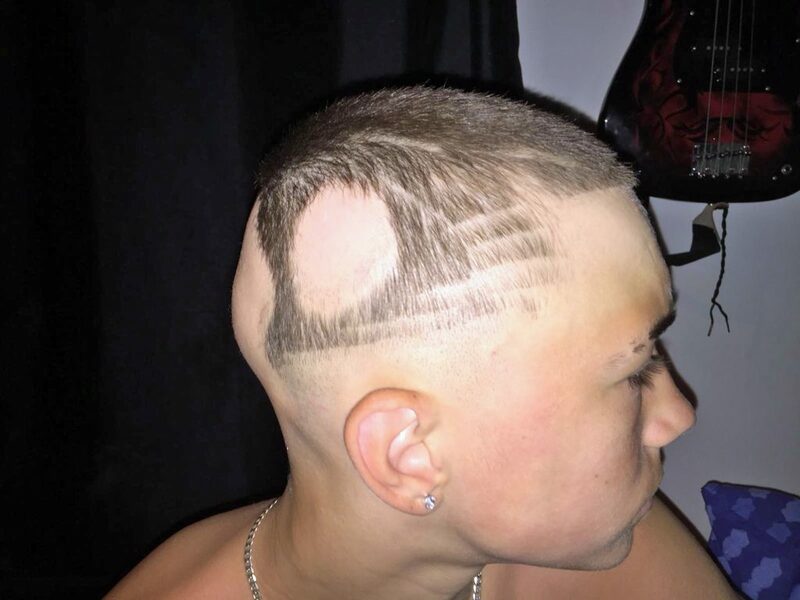 “I took the whole day to do Jakes head as I knew it was a big thing for him. “I related to him a lot, Jake losing his hair reminded me of my mother losing hers. “My mom passed away before I could help her but being able to do it for Jake gave me a great feeling. 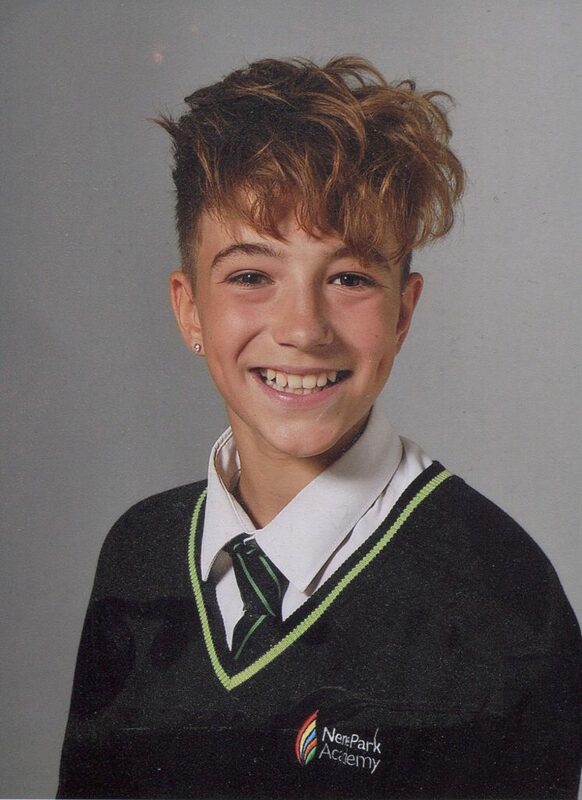 “Before he was going to school and kids would ask him what was wrong with his scalp and why his hair was so patchy. 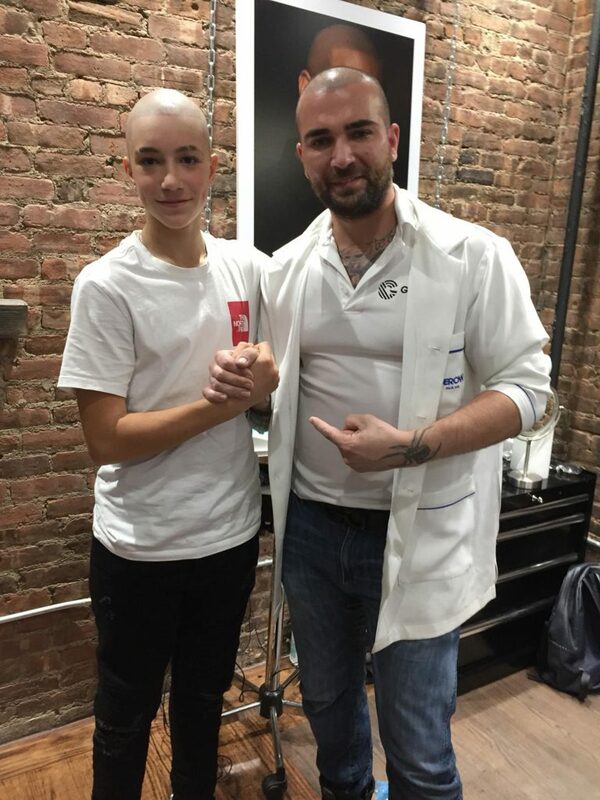 “I work on people every day but this kid suffering hair loss at such an early stage of life, it felt great to help him and felt surreal.